Why buy expensive weights or join a swanky gym when you can achieve the desired body at home! Yes, all you need to do is wear the fitness wear like Hot Shapers or the sauna belt around your waist and continue doing your daily work and let the fitness wear do its job of burning your belly fat. Finding it difficult to hit the gym considering your hectic schedule? 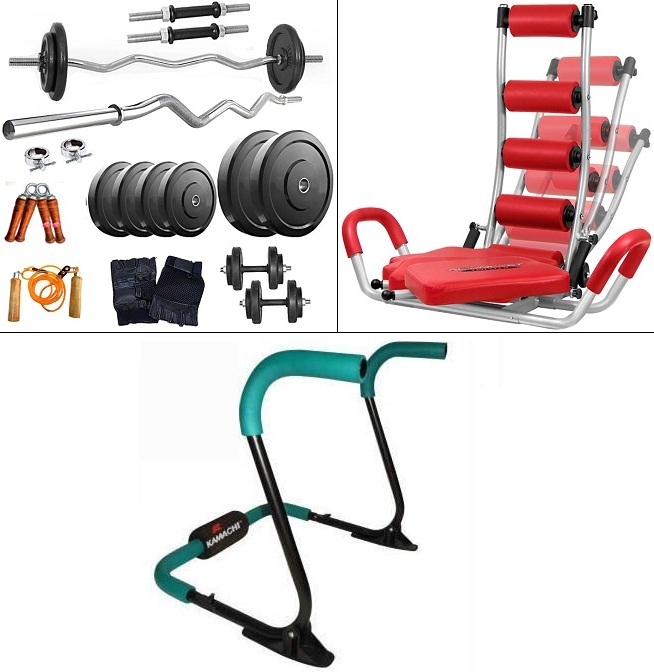 Invest in these home gym accessories and indulge in intense weight training to get best results. The home gym set includes plates. rods, dumbbells and everything you need to improve your core strength. Next in line is the ab twister rocket which helps you tone your abdominal muscles. 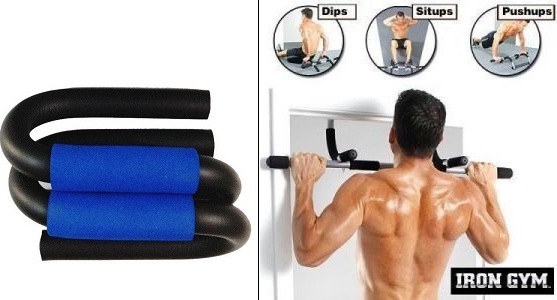 With this equipment, situps are fun and doable. All you need to do is swing back and forth to work both on your upper and lower abdominal muscles. After strengthening your core muscles, you must aim to get perfectly carved abs with the help of this ab slimmer. Use this slimmer regularly to achieve your fitness goals. Ever wondered what causes the fat around your belly? It is actually cellulite which is accumulated around the abdominal area. Use a sauna belt as it emits heat which eliminates the cellulite by the way of sweat. It boosts your metabolism which enables you to lose weight swiftly. 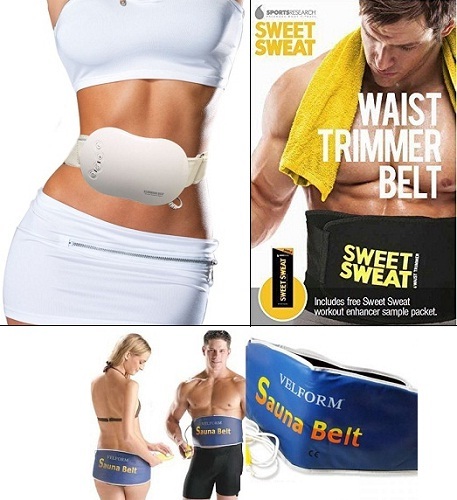 The sauna slimming belt is the ideal technique to lose that unwanted flab. It also eases muscle pain and cramps. Using a slimming belt on a regular basis will help you tone your ab muscles, waist, hips, giving you a great physique. If the weather is favourable, you will get up early, wear your running shoes and go jogging without any push. However, when there are heavy rains or it’s sunny, you conveniently skip the jog. How about jogging or walking at home? 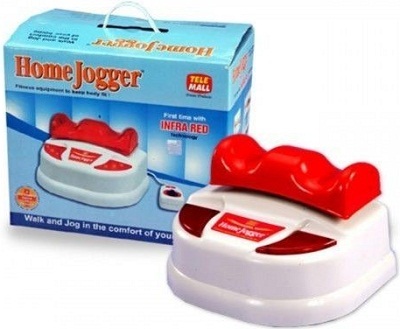 Yes, this home jogger moves the entire body most importantly, the legs which improves blood circulation. Using this device for 15 minutes is equivalent to walking 10,000 steps. Push ups? It is quite common but not a favourite exercise. But, there is an easier way to do more push ups. Doing push ups will improve your arm strength and chest muscles. Wondering what role these massagers play? A soothing massage post workout will relax muscles and prevents them from getting sore. Experiencing joint pain post workout? The Ayurvedic cream and oil will relieve you from all types of joint pain. Besides working out and losing weight, exercising is not enough. You need to make a few lifestyle changes as well. You must increase your fluid intake to stay hydrated. Switch to a cup of Ayurvedic slimming tea instead of the cutting chai. The slimming tea will absorb the fat, stimulates the metabolism of your body and restrain you from eating junk food. 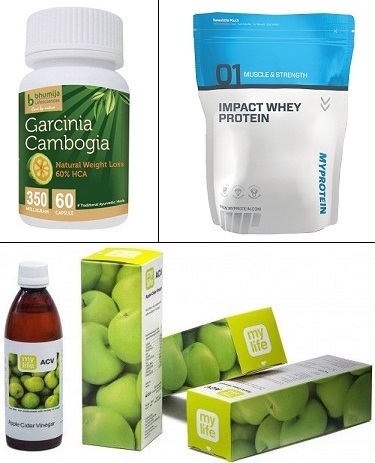 Also, a regular dose of Garcinia Cambogia capsules will help you lose weight. 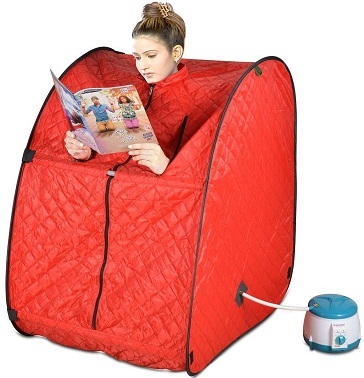 Enjoy a steam and sauna session once a week as steam promotes blood circulation. It also relaxes your stiff muscles and reduces stress levels.